Superannuation and Pension Plans (including Self Managed Superannuation Funds - SMSF). Damian’s diverse experience and broad knowledge enables him to create financial strategies to help clients achieve their needs and long term financial goals. At Macs Labels we manufacture all sorts of self-adhesive labels and stickers in all shapes and sizes to suit your company’s needs. Macs Labels can produce your labels, tailored to your company’s products. Types of materials are available, from Paper, Vinyl, Polyester, to name just a few – the options are endless. We offer a comprehensive, friendly service, and at competitive prices, that gives you the best quality & value of labels in the market place. North Lakes Signs Brisbane is your local sign writing professional. Specialiseing in vehicle wraps, building and shop signage plus general business signs like corflutes, banners, promotional advertising and more. With 21 years experience you’re guaranteed the best possible finish in the quickest possible time. We use a wide variety of quality vinyl’s and print medias on all of our finished works to ensure they look great and last in the harsh Queensland sun. 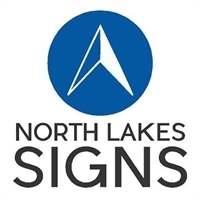 Let North Lakes Signs take care of your next job, starting with the graphic design and concept ideas through to the print stage and finally installed by our professional installers. 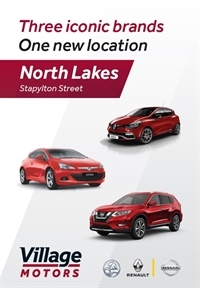 If you’re looking for a reliable, professional and friendly team pick up the phone and call us today on 07 3204 1964. We’d love to hear from you. The practice of chiropractic focuses on the connection between structure of the body and the function of the body, and how the structure and function preserve and restoration health. 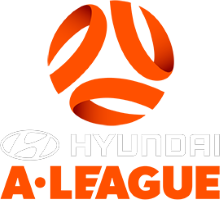 Natalie Clohesy has a background in the sporting arena being a gymnast for many years she has a keen passion for sports and working with sports teams and athletes. Within practice Natalie has a special interest in sports injuries, rehabilitation and assisting sports people to obtain optimum performance. In order to assists patients obtain optimal sports performance she also applies Kinesio Taping Method, which emerged as a rehabilitative taping method within the US and international medical communities. Kinsela Electrical can help you with all your home and business electrical requirements. Servicing all area's of Brisbane. Kinsela Electrical are a family owned and run business that do a wide range of electrical work from installation and breakdown service of power points, lights,ceiling fans etc. to service repair of appliances such as washing machines, dryers, stoves, pool pumps etc.  We are also a service agent for many different companies. Kinsela Electrical provide a wide range of electrical installations with the tools and equipment for all jobs. Wiring of new houses upgrading switchboards and mains, to shop fitting and industrial wiring. Our Service is also backed up with warranty service partners for Whirlpool & Maytag stocking a wide range of spare parts. 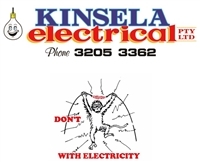 So Don't (monkey) With Electricity and give Kinsela Electrical a call. Private Studio. Personalised Programs to target Health & Fitness Goals. Discounted Rates from Lower Overhead Costs. No Contracts or Membership Fees: No Training = No Payment.